Feed Spokane is a non-profit organization that brings together meal providers and community partners in the greater Spokane area to work together to serve free meals to those in need. Feed Spokane works with food donors, such as restaurants, distributors, food brokers, and other food service providers by asking them to freeze and donate their leftovers, which would otherwise be thrown away, to help feed others. Feed Spokane then donates and distributes this overage to other non-profit organizations in the area that help provide free meals to those in need. Free hot and cold meals are served at 30+ meal sites across Spokane County every day. Men, women, children, low-income, homeless, senior, or homebound. No matter the circumstance, there are places to welcome and feed anyone in need across Spokane County, thanks to Feed Spokane. 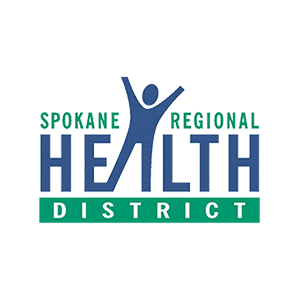 Our friends at Spokane Cares have a list of locations that they keep updated. Thank you Feed Spokane for the amazing work you do! At Open Doors Family Day Shelter we provide three meals a day to homeless families in Spokane and it would not be possible without you and the food you provide to our Organization! Huge thank you from all of us at Open Doors! We want to thank the staff of Feed Spokane for providing The Guardians Foundation with nutritious pre-made meals including vegetables, dairy, cheese, bread, desserts and sometimes even venison. The veterans we have housed here in Spokane have been provided with 12,500 meals many of them due in part to help from our friends at Feed Spokane. Hello Steven and the Feed Spokane Team, Thank you, thank you, thank you so much for going above and beyond to help our kids over the holidays. Not only did we serve our normal over 5500 meals in December and will be at that amount for January, but you helped us also serve another 400 lunches for homeless kids that would normally get free lunch at school, but would not have that option over the Christmas and New Year break. We cannot express enough how helpful it is to have partners like you that help us provide for our homeless family's most basic needs. Please express our gratitude to your volunteers and donors.